Las Vegas Marijuana Vacations, is it the new destination? Are Las Vegas marijuana vacations the next big thing? 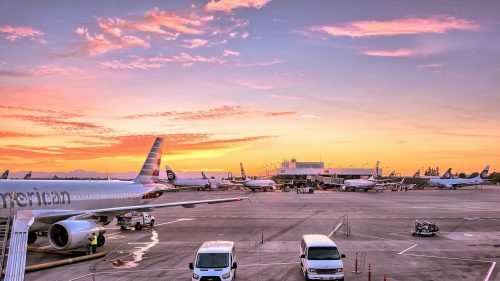 Will Vegas be the new destination for cannabis friendly travelers? The increase in marijuana tourism is through the roof over the last three years. In 2015, over 16.4 million people visited Denver, Colorado spending in excess of $5 billion and setting a new tourism record for Denver. A 2015 study by the Tourism Office of Colorado found that recreational marijuana influenced almost 50 percent of travelers to Colorado. Las Vegas is looking forward to July 1, 2017 when they hope to be the latest addition to the kush tourism boom! The Marijuana Business Daily estimates that the Nevada recreational market should generate $75 million or more in sales in 2017 and up to $450-$550 million in future years. What’s happening on July 1st? July 1st is the goal date for the first sales of recreational marijuana. Once recreational marijuana can be legally sold through recreational dispensaries, Las Vegas marijuana vacations are expected to infuse the Las Vegas vacation scene with a flood of new travelers. Las Vegas will have everything to offer the discerning traveler: world class accommodations; impressive Broadway type shows; destination level dining; and industry leading recreational dispensaries. And this is only an initial roll-out, the full Nevada cannabis recreational program is not expected to fully integrated until 2018 because the state’s tax commission won’t have all the rules finalized until January 2018. How is Las Vegas preparing for July 1st? Las Vegas already draws in excess of 40 million visitors a year and the introduction of recreational marijuana is only expected to drive that number even higher. Nevada has existing medical marijuana companies and most of those companies are expanding and planning for exponential growth as a result of the expected boom in Las Vegas marijuana vacations. Nevada cannabis companies are expanding and opening new processing centers, growers, and dispensaries. Also, current medical dispensaries are beefing up and adding new staff. For now, only existing medical marijuana companies can jump into the recreational market but that will expand to additional companies in 2018. However, these early licenses carry no restrictions on selling topicals, concentrates, oils, or edibles. How to book the best in Las Vegas marijuana vacations? We could be on the precipice on a new trend in travel and we expect to see more and more vacationers actively seeking cannabis vacations. Las Vegas has so much to offer every kind of traveler it is no wonder they are on the forefront of this new travel trend. 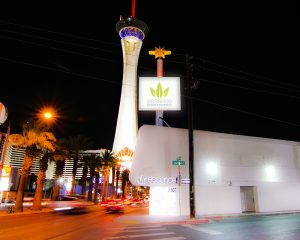 Other cities will try and copy but no one will do marijuana based tourism with the same flare and style as Vegas. 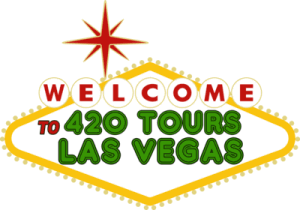 Plan your summer vacation with a kush tourism based itinerary and visit Las Vegas to witness firsthand their foray into marijuana tourism.